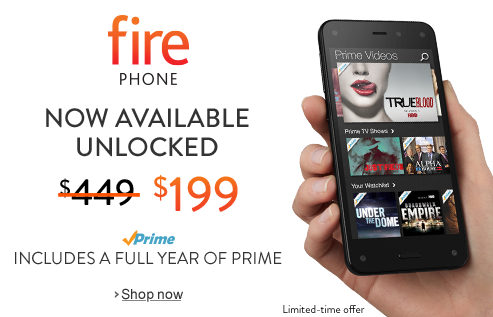 Amazon is dropping the price of the Fire Phone again, at least for a limited time. The online retailer is now selling its debut smartphone for just $199, unlocked and contract free. As before, Amazon also includes a free, one-year Prime membership with every purchase. The latest sale follows a price drop in September when Amazon sold the device for $0.99 on a two-year contract, or $449 unlocked. The story behind the story: Amazon has struggled to convince people to give the Fire Phone a shot—so much so that the company was forced to take a $170 million writedown in October due to poor sales. The hope is that a deep price cut in time for the holidays will entice more people to pick-up the ultra-cheap phone. Amazon's devices chief, David Limp, told Fortune that the company's September price cut had boosted Fire Phone sales. Perhaps an even deeper cut, coupled with the attraction of a contract-free phone, will do the trick. 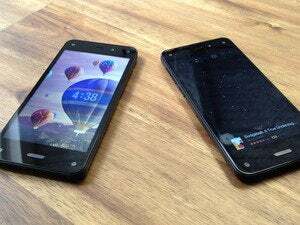 On paper, the Fire Phone looks like a pretty good device. 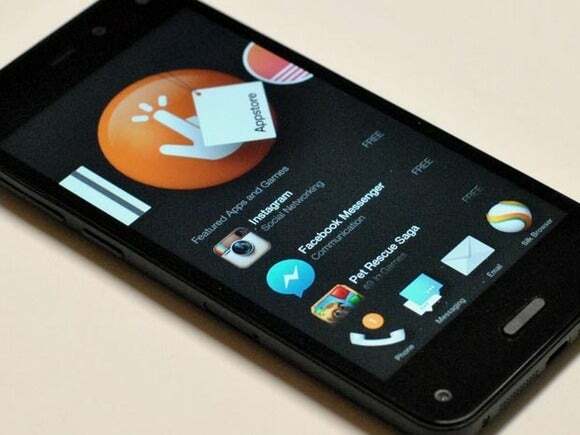 You get the open source version of Android with Amazon's Fire OS customizations. The device is loaded with 32GB onboard storage, a 4.7-inch display with 1280-by-720 resolution, 2.2GHz quad-core Snapdragon 800, an Adreno 330 GPU with 2GB dedicated RAM, 13 megapixel rear-facing camera, and a 2.1MP front-facing. Add deep integration with Amazon's online services and you'd think a phone like that would be a nice choice, at least for heavy Amazon users. 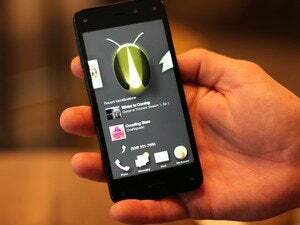 Despite all its seeming advantages, however, the Fire Phone has been criticized for deficits such as a boring design and limited appeal for those not already deeply invested in the Amazon ecosystem. Amazon's biggest problem, however, was its decision to price the Fire Phone on par with the iPhone and flagship Android devices at $199 with a two-year contract. Considering the stumbles of BlackBerry and Microsoft against the polish and vibrant ecosystems of Android and iOS, Amazon should have anticipated this problem. But with the holiday shopping season now upon us and a deep price cut here, Amazon may have a chance to, at the very least, clear the stacks of unsold Fire Phones out of its warehouses.